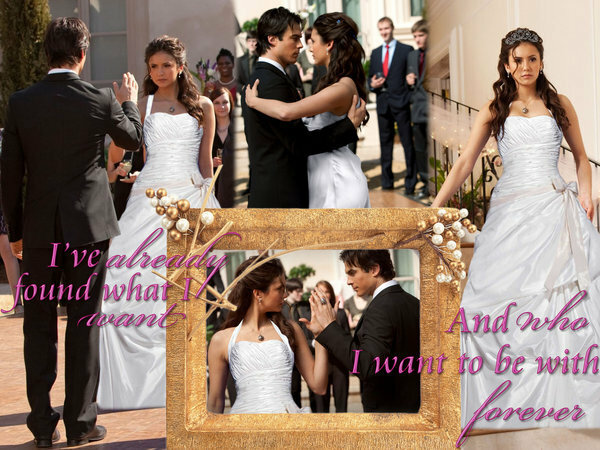 the delena wedding <3. . Wallpaper and background images in the Damon & Elena club tagged: ian somerhalder nina dobrev vampire diaries damon elena. I LOVE this!!!! Thank you! It looks so real! Would kill for this moment to happen in the future! !